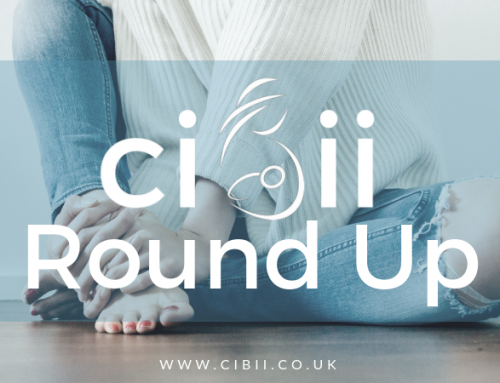 Weekly Round Up 1st July - Pride | Can I Breastfeed In It? You might be wondering what on Earth Pride has to do with breastfeeding. Honestly? Not a lot! But we have lots of breastfeeding parents in the group who are part of the LGBTQ+ community, myself included! And yes, those of you married to (cis)men who identify as bi/pansexual/queer are all totally valid members of the community too! Also shout out to all my fellow non-binary/trans people in the group! All who lactate are welcome! As for the rest of you who might call yourselves Allies to the community, feel free to join in the rainbow fun and show your support (perhaps even give a cheeky donation to an LGBTQ+ charity?). As much as I’m not a fan of ‘rainbow capitalism’, I’m also a sucker for anything with a rainbow on and bright colours, so I couldn’t help but come up with a colourful compilation of clothes to share with you all. Enjoy! Rainbow stripe print in cool cropped style. Crew neck, short sleeves and #yesican. Striped design, spread collar and zip closure for easy nursing access. High-cut leg and press-stud fastening underneath. Close-cut bodycon fit. ASOS have partnered with GLAAD in support of the & movement. GLAAD works to accelerate LGBTQ acceptance and create meaningful change. For every shirt sold, 25% of the proceeds will be donated to GLAAD. Unisex design with point collar and button placket. Fab colours, open fronted bold funky design. It may be warm, but I love this! Mid stone denim design, this is so cool 😎 Wear with your fave bright breastfeeding tee or crop top. Plunge neck, adjustable straps and zip back. Sequintastic! This flutter sleeve crop top has a wrap front design for nursing access. Pair this cropped design with distressed jeans and hi-top trainers. Stylish striped jumpsuit with a wrap front design for easing breastfeeding access. Simple short sleeves, a tie waist and cropped hem first is the look. This bardot style top has short tie sleeves and a crepe finish. An all over rainbow stripe print and cropped hem are bang on trend. I have this and love it! Great colours, shape and great for nursing, need I say more! Pair this cami with the matching shorts or jeans and chunky sandals. Shoestring straps, v neckline and button front fastening. This gorgeous striped wrap jumpsuit has a plunge wrap neck and tie waist. Perfect for those taller people who struggle with the fit on a standard jumpsuit. Great relaxed playsuit in funky rainbow stripes. Bandeau top and drawstring waist with cute shorts, great choice for hot hot sunny days. Unity design with point collar, button placket and unisex design. ASOS partnering with GLAAD in support of the & movement GLAAD works to accelerate LGBTQ acceptance and create meaningful change For every shirt sold, 25% of the proceeds will be donated to GLAAD. This jumpsuit has culotte trousers and a button front. Great bright broad rainbow stripes.